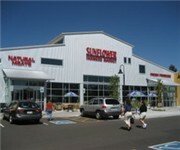 Sunflower Farmers Market is a green farmers market located in Denver CO. Hours: Mon-Sun. 7:00 a.m. - 10:00 p.m.
How Would You Rate Sunflower Farmers Market?